At last!! 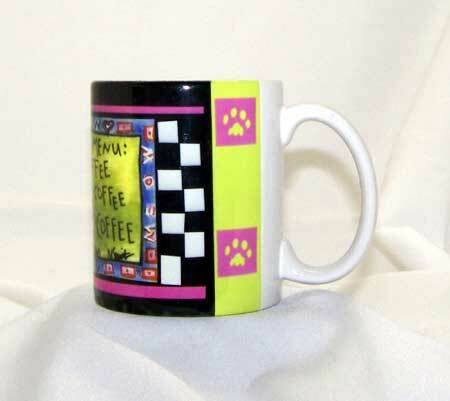 Mary's colorful art adorns this beautiful coffee cup. Purrfect for Red Hot Kitties' collectors. 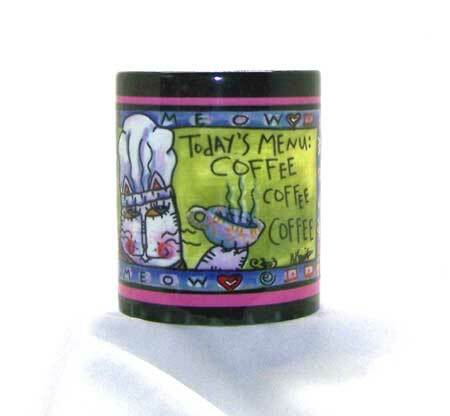 This cup's theme is: "Today's Menu." View the third thumbnail to see what the cup looks like from all sides. Last of the series..to all our collectors we are sorry.